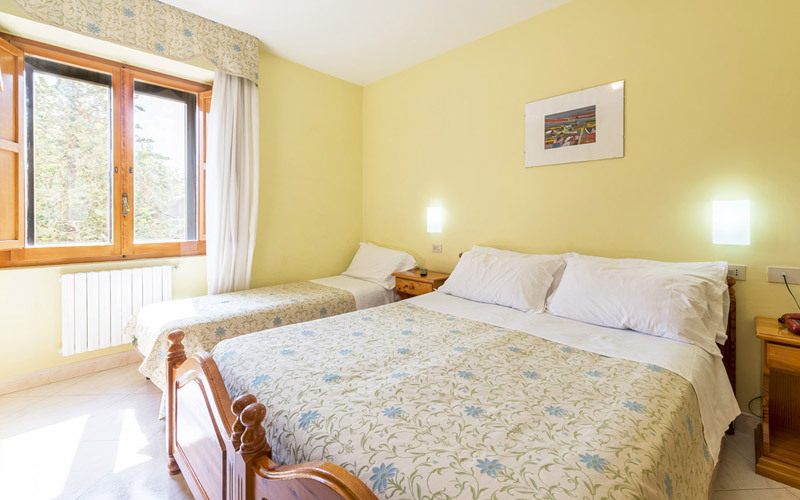 The room consists of a double bed with a single bed or sofa bed. 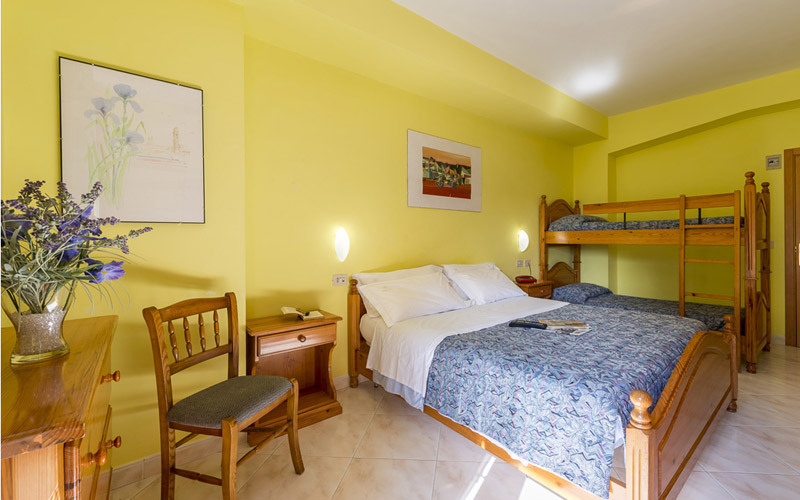 They offer the same equipment of the double beds with two extra single beds (a bunk bed). 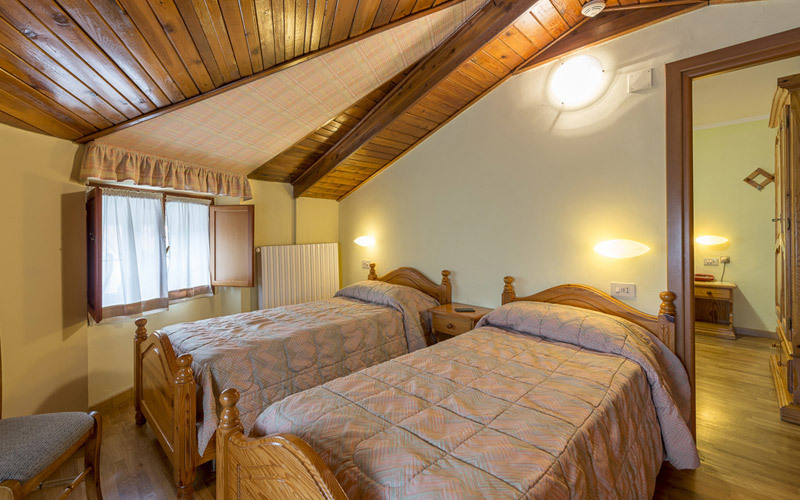 They are bedrooms that satisfy all the needs of a family with children or elder people. They are adjoining rooms, linked by an indoor door. Tourist tax is € 1.50 per person per overnight (untill a maximum of seven overnights); children 14 y.o. not finished excluded. Meals not consumed will not be refunded. Free bus shuttle, at planned hours, from and to the ski resorts (the Management reserves the possibility of starting depending on weather conditions). Miniclub for children (from 4 years).